This illustration was growing over more than two years. First there was just the horse-figure. 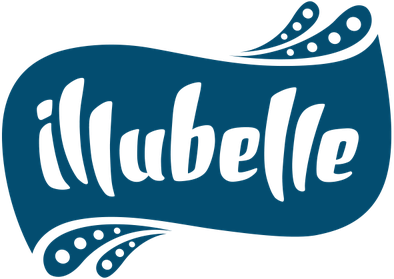 Later I added the typographic background. With the last revision I changed the flower shapes and I found the perfect color palette. The problem with the flower shapes was, that they were too much „common comic style“ – like every child would draw a flower, without consideration on perspective or natural appearance … very symbolic. Now I developed a more individual and advanced flower style. Even so the color palette: for the last version I chose very common colors – brown trunks, green treetops, black horse, and so on. During the last year I concerned myself a lot on color combinations. It's not as easy as it seems. But with this revision I learned, that trunks don’t have to be brown, a black horse doesn’t have to be black in an illustration, there is no need to cling to „real“ colors. It makes a picture much more interesting to focus on building areas and layers with colors, that simulate a depth, even in a „flat“ picture. 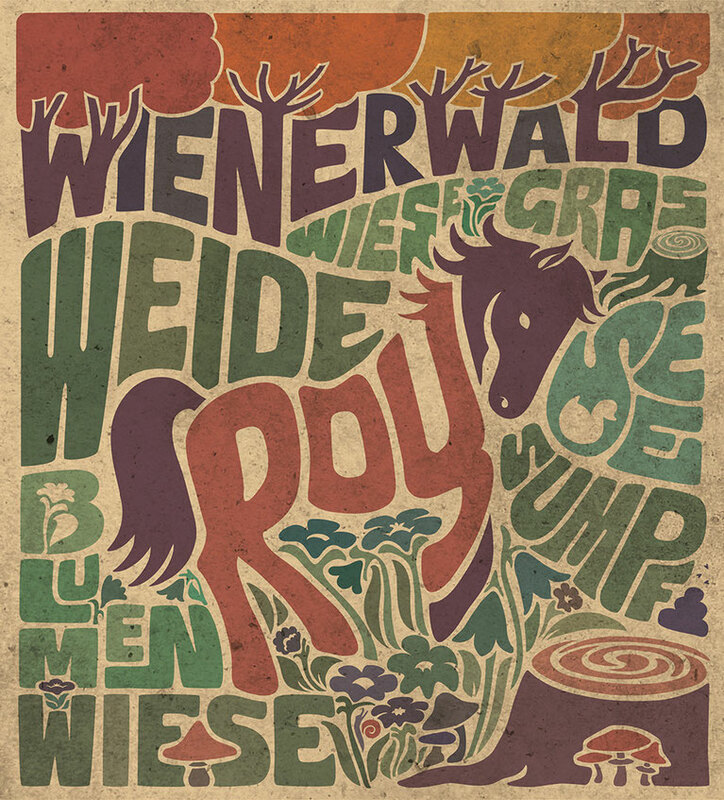 That’s what I did here: „Wienerwald“, the horse „Roy“ and the trunk in the front are building a unit in red shades, which contrast with the „grass-area“ („Weide“, „Wiese“, „Sumpf“, „See“ …) in green and blue shades. So there seem to be a background-layer („Wienerwald“), a middle (grass-area) and a front (horse and trunk). But even if there is a red and a green area, all colors are from the same palette, which is very warm and with a touch of yellow. What's up to every one, the contents existing at this website are actually remarkable for people experience, well, keep up the nice work fellows. Thank you for some other great post. Where else may anybody get that kind of info in such a perfect method of writing? I have a presentation next week, and I'm on the search for such info. After looking into a few of the blog articles on your site, I honestly appreciate your technique of writing a blog. I added it to my bookmark site list and will be checking back in the near future. Take a look at my website as well and tell me your opinion.